The world today is faced with a crisis of degrading environment which has led to a situation that we seek a greener alternative to everything. Solar energy is one of the most eco friendly forms of energy and the usage is not just restricted to solar panels to power houses. 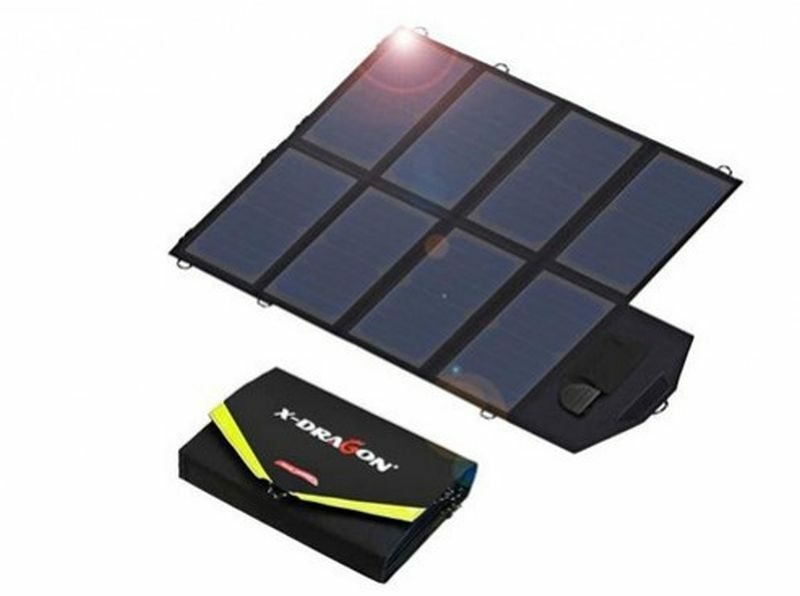 Solar chargers have been a popular alternative for their regular counterparts but if you must get one you should know the solar cellphone charger to buy in 2018. If you are an adventure seeker and go for frequent hiking trips, this is the charger to choose. Easily among the best solar chargers of 2018, this variant comes with a hook which hangs on to your backpack. You can be charging your phone while being on the run and both the USB ports being waterproofed by rubber coatings, even the rains won’t stop you. Its design is somewhat like a football which helps the water to drain off easily. The built is of ABS plastic which makes it extremely durable in case of a bad fall. This is among the most cost effective variants available in the markets so you really should not be complaining much about the smaller size which leads to a little slow charging process. 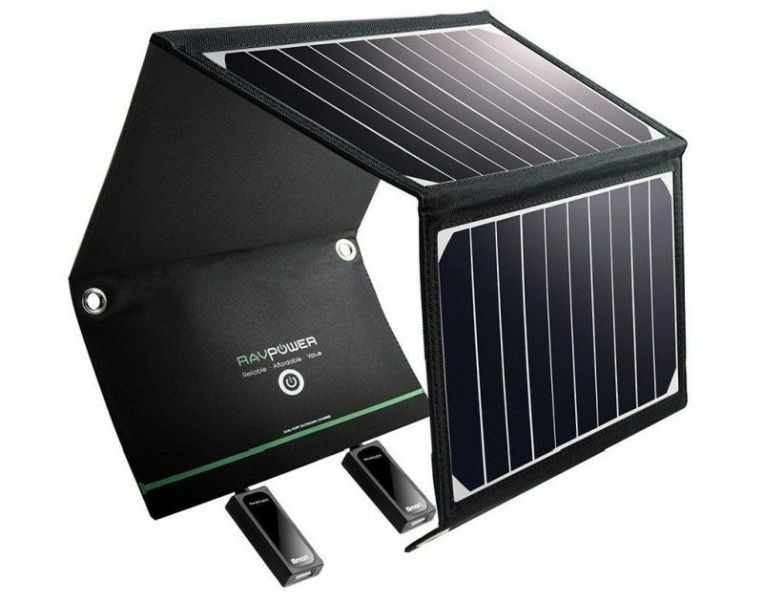 This is an extremely sustainable accessory that comes with a good portability. As per the Sun’s position you can literally place it anywhere without having to worry much about it getting damaged. It comes with a 3feet micro USB cable and a 18 month warranty which is definitely lucrative. The charging speed too is pretty good with 3 amps in direct sunlight and 2.4 amps when the conditions are not exactly ideal. 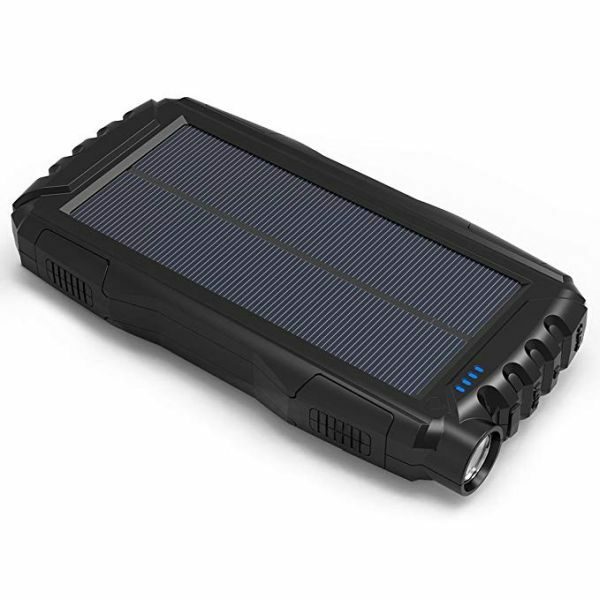 The charger is provided with an waterproof cover to protect it from the downpours and everything when combined with their impeccable maintenance and care makes this one of the Solar cellphone charger to buy in 2018. This is a handy charger to have for the campers and can even be placed on the dashboard of the cars. Apart from great mobility this can be connected simultaneously to two phones. It is equipped with a smart IC technology that ensures that no power is wasted and the waterproofing makes it a savior even in the rains. The pricing too is pocket friendly and reasonable and overall it clearly can be said to be the best solar charger for tablets and smartphones. Charging phone while camping is no easy task and that too if managed is only good enough for one person. This particular charger however ensures that the whole group can charge their phones with its high power capacities. There are multiple charging ports and there is even the facility of charging the laptops. It can easily withstand a light drizzle due to its waterproofing make. 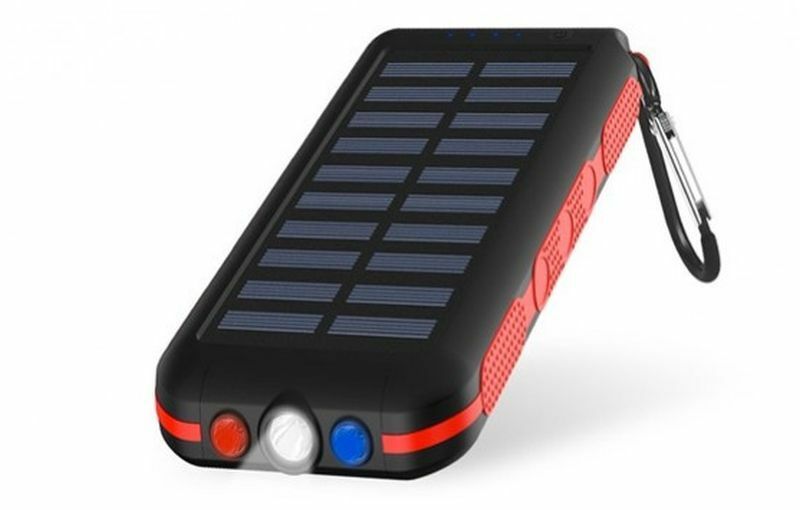 With a potential of 40W this is easily among the most powerful solar chargers. The energy outputs from this device are powerful enough to provide a normal phone with ten full charges. This comes in a solid built with good weather resistance and is a handy charger to pack in your bags. The panel needs to be contoured with the Sun’s position for best results and if out camping this is more than capable of charging all the phones around. The build is so strong that even an accidental fall would do no damage to this wonderful charger. Clearly this is the one to get if you plan on some rough usage. Not just a charger but this can also come in handy as a shiny torch in the hours of emergency. Apart from this, it can store so much energy that a phone can be fully charged thrice in quick time. This comes at a decent price which makes it a lucrative option among its competitors. The low price does not come though at the cost of a compromise on quality because this charger is of a really good quality. The warranty structure too is unique as it offers the user a lifetime warranty from waterproofing and overcharging. 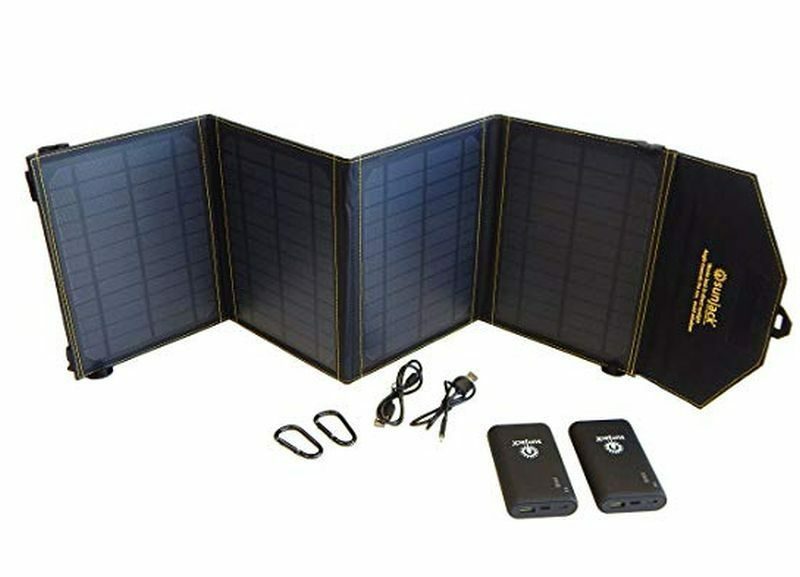 All this when packed together make this one of the solar cellphone chargers to buy in 2018. This charger not only has a flashlight apart from the general charging facilities but also come with an inbuilt SOS service in case you are faced with an emergency. 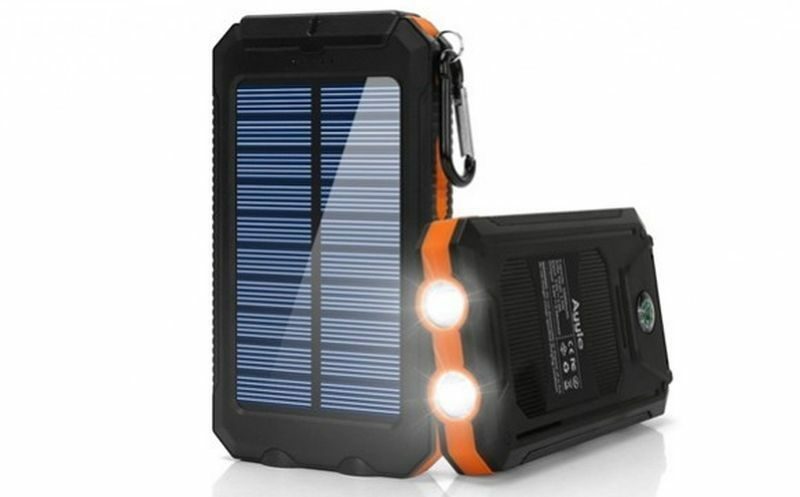 One of the solar cellphone chargers to buy in 2018, this comes with a warranty for 2years on most of the damage. With storage of about 25000mah this device definitely packs a punch as it can provide multiple full charges to several devices. This comes with three USB outputs for both iOS and android devices and is clearly the device to have in 2018. 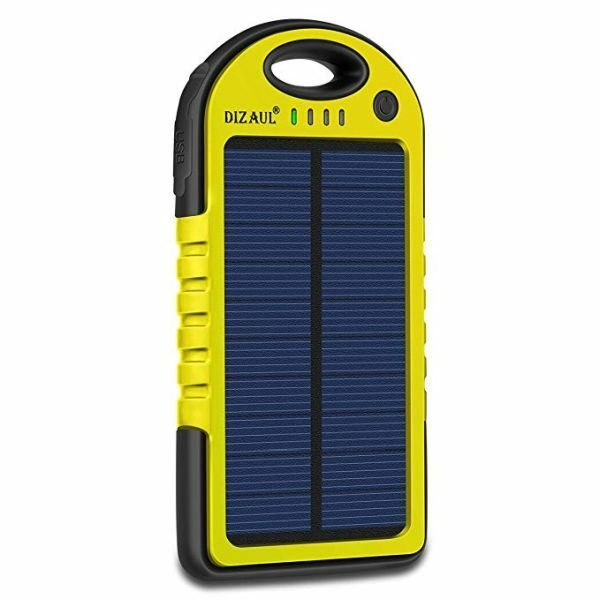 This makes the list of the solar cellphone chargers to buy in 2018 because of all the devices discussed so far, this one is the cheapest. The power though is not like its price as it has a handy 10000mah storage which can get you up to two to three phone charges. The make of this device being ABS and silicone material, it is a handy device is case you opt for somewhat of a rough use. The only hindrance to this otherwise perfect device is that it takes a bit more time than the others to get charged. These are among the best solar charger for tablets and smartphones and if you choose among these products you will not be disappointed. We must all do our bits for the environment and choosing a sustainable accessory is the least we could do. 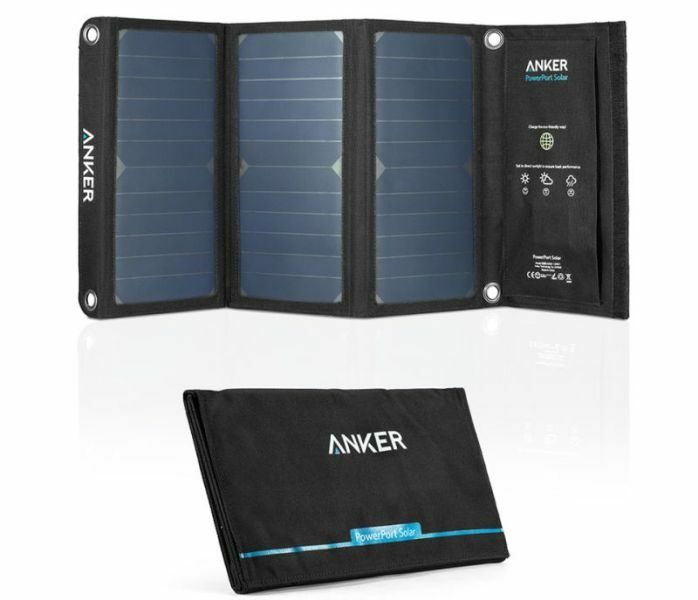 So put this knowledge to good use and get yourself one of these fine solar chargers.